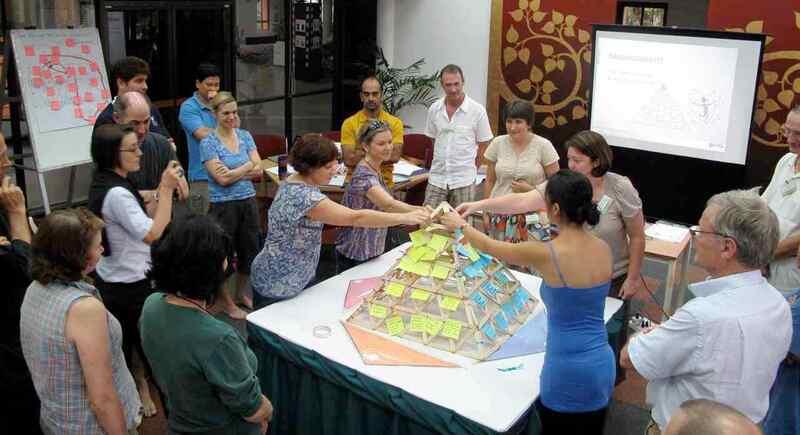 The very first ‘Becoming a Compass School’ (BACS) workshop was conducted from October 10-11, 2009 on the campus of Prem Tinsulanonda International School (PTIS) in Chiang Mai, Thailand. This was essentially the test-drive of a new idea and adaptation of the AtKisson ISIS Accelerator tools to an education and schools context; previously, the AtKisson ISIS Accelerator tools had been successfully used for over 15 years with the corporate sector and in community and city sustainable development planning. This inaugural two-day workshop was attended by twenty-three educators hailing from schools and NGOs in China, Hong Kong, Malaysia, Singapore, and Thailand. The workshop was designed to introduce educators to the ISIS Accelerator toolkit and how it might be used to assist schools with addressing sustainability education.